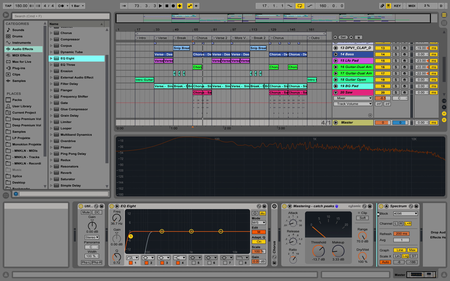 Learn how to produce a track from start to finish with Ableton Live. 4 hour pro class taking you through the full process. (Beginner & Intermediate). Starting with the basics & finishing with mixing + mastering a complete track. We are using Ableton - only! This course focusses on production. Our other course is focussing on chord progressions and harmony. Over 21 sessions and around 4 hours of content! Use samples to edit, arrange, and create unique tracks and beats of your own. 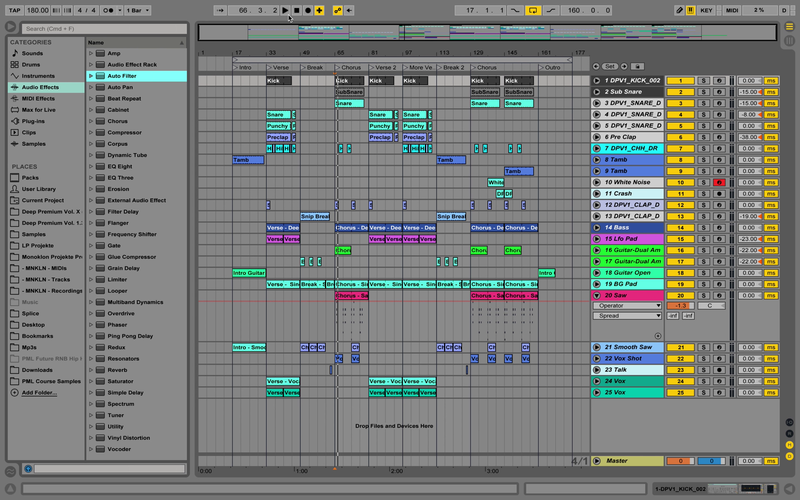 Kickstart your productions with our material - full template session and samples included in this course! If you've opened a DAW like Ableton, Logic or FL Studio before and know that hitting the space bar will start and stop the playback, that would be great. You want to know how to produce a professionally sounding track from the start to the fully mixed and mastered product. You like to see how to start from scratch going all the way to the finished, mixed & mastered product. 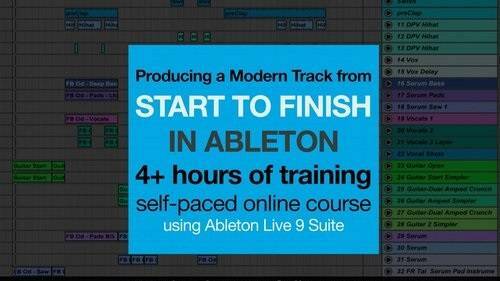 This is a very hands-on and deep class showing you how to produce a track from scratch - with tons of content, tricks, and tips on production, workflow, beat design, sound design, mixing and mastering. 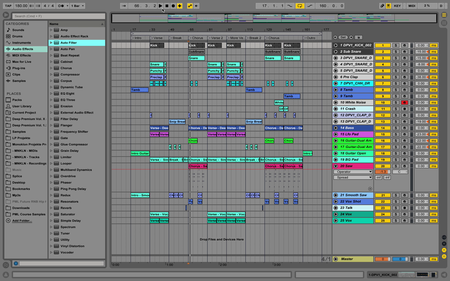 You’ll be getting the complete finished track as template session you can play around with. 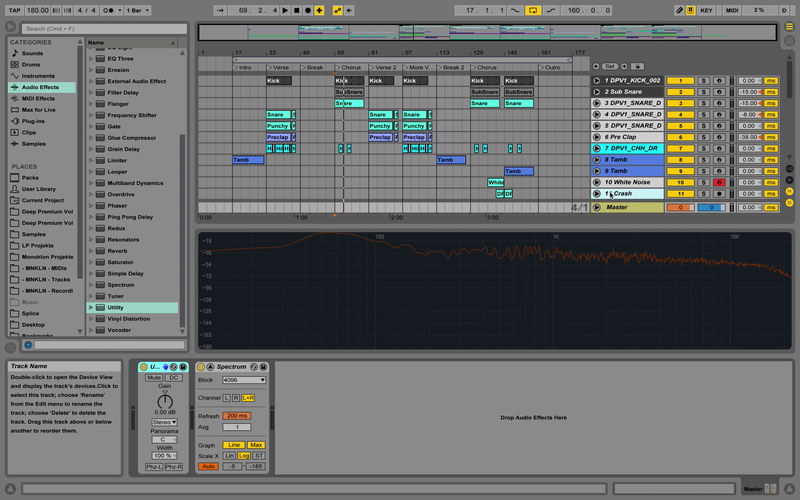 Additionally you’re getting a bunch of drum samples and MIDI files to work with. We are going to be covering how to produce using Ableton Live, starting from working with clips in the session view and going all the way up to some very advanced production techniques using the arrangement view.